Democrats are twice as likely as Republicans to be purged from the voter rolls in the state’s largest counties. 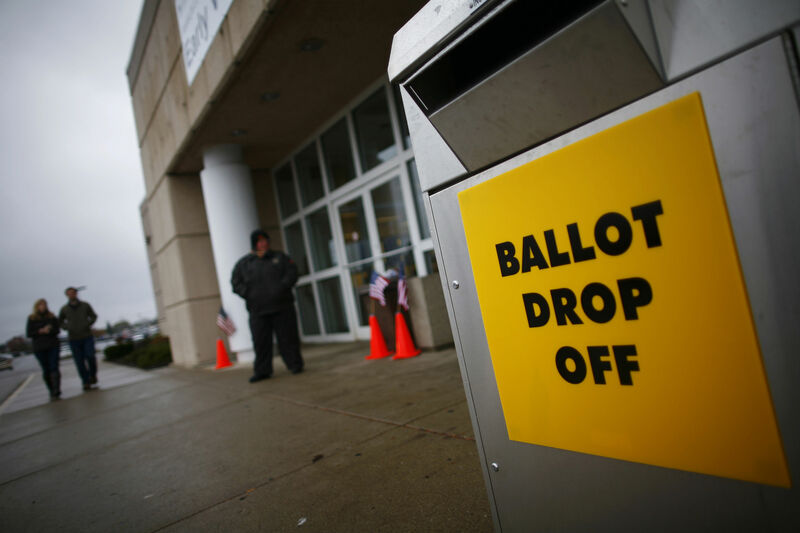 Larry Harmon, a 59-year-old software engineer and Navy vet, went the polls in 2015 in his hometown of Kent, Ohio, to vote on a state ballot initiative. But poll workers told him he was no longer registered and could not vote. Harmon voted for Barack Obama in 2008 but had not returned to vote until 2015. He later learned that he was purged from the rolls in Ohio for “infrequent voting” because he had not voted in a six-year period, even though he hadn’t moved or done anything to change his registration status. The same thing is now happening to tens of thousands of voters across the state. The fear is that voters who cast ballots in 2008 but have not participated since, particularly first-time voters for Obama, will show up in 2016 to find that they are no longer registered. Ohio has purged more voters over a 5-year period than any other state. At least 144,000 voters in Ohio’s three largest counties, home to Cleveland, Columbus, and Cincinnati, were purged since the 2012 election, with voters in Democratic-leaning neighborhoods twice as likely to be removed as those in Republican-leaning ones, according to a Reuters analysis by Andy Sullivan and Grant Smith. That includes 40,000 voters purged in Cleveland’s Cuyahoga County, where the GOP convention is taking place this week. These cities are heavily Democratic, with large minority populations, and there’s a clear partisan and racial disparity to the state’s voter purge. The purge works like this: If a voter misses an election, Ohio sends them a letter making sure their address is still current. If the voter doesn’t respond, Ohio puts them on an inactive list, and if the voter doesn’t vote in the next two elections they are removed from the rolls. Larry Harmon, one such voter, became a plaintiff in a lawsuit challenging the purge filed by Demos and the ACLU of Ohio. “As a result of these violations, numerous Ohioans have been disenfranchised in recent elections, and many more face the threat of disenfranchisement in the 2016 Presidential Election and future elections,” the lawsuit stated. In late June, federal district court Judge George C. Smith, a Reagan appointee, ruled for the state, saying that “Ohio’s procedures of maintaining the voter registration rolls ensure the integrity of the election process.” Smith ruled that Ohio had not violated the National Voter Registration Act, which forbids purging based on infrequent voting, because the infrequent voters had failed to respond to a mailing sent by the state warning that their registrations would be suspended—a questionable interpretation of the law. The Sixth Circuit court will hear an appeal on July 27. But Republican-led voter purging efforts proved disastrous during the 2000 election in Florida, when the state wrongly labeled 12,000 registered voters as ex-felons and scrubbed them from the voter rolls—a number that was 22 times George W. Bush’s 537-vote margin of victory. That election taught the unfortunate lesson that small manipulation to the country’s voting laws could make a big difference in close elections. History could repeat itself in 2016.